MOSCOW, January 15. /TASS/. The Russian Baltic Fleet’s Admiral Vladimirsky oceanographic research ship has begun its research mission in the Indian Ocean, a spokesman for the Russian Defense Ministry said on Monday. 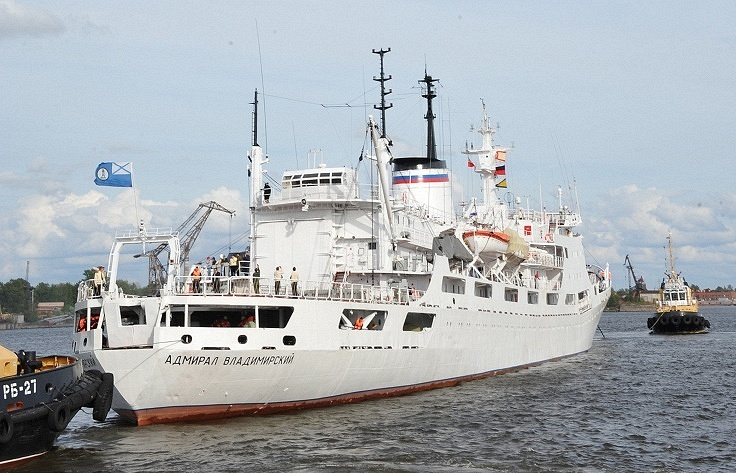 "The Admiral Vladimirsky oceanographic research ship of the Russian Navy has reached the Indian Ocean and begun research works according to the plan of the second international expedition backed by UNESCO’s intergovernmental oceanographic commission," the ministry said. The Admiral Vladimirsky left the port of Kronstadt in northwestern Russia on December 15, 2017. The voyage is part of the second UNESCO-supported international expedition to the Indian Ocean. In six months, the ship’s crew and the expedition participants will perform a complex of hydrometeorological surveys, as well as conduct research in order to keep nautical charts up-to-date on the transit route in the Baltic, North, Mediterranean and Red Seas, as well as in the Indian Ocean and along the northeastern swath of the Atlantic Ocean.